This beautiful and educational three-building museum is dedicated to the rich history of the Lake Erie Islands and Put-in-Bay. 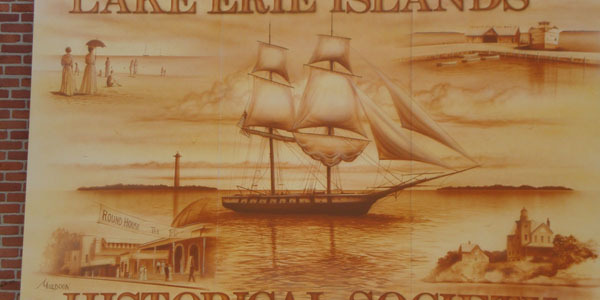 Walk through the Transportation Building filled with boats or view the models of some of the greatest ships to sail Lake Erie. Learn about the demise of the Hotel Victory, the Ohio islands winemaking industry and island genealogy. Check the calendar for children's events, lectures, tours and Elderhostels. Admission is $2.00 or $5.00 for an entire family.